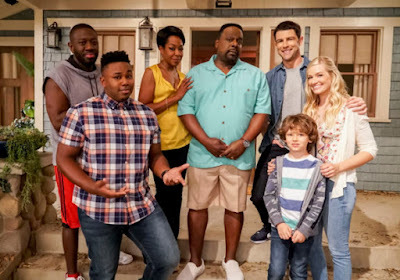 Another season in the can, people! Started off a bit shaky to me, but picked up near the end here. And, as season finales tend to go, a lot of crap went down tonight. Shizz happened, yo. Don't trust the short bearded fellow. Sam and Dean are working on the final demon tablet trial - to cure a demon. Since they royally botched doing that to Abaddon, they work up a plan to do it to Crowley instead. A plan which Crowley falls for rather easily, though I guess he wouldn't know about devil's trapped handcuffs as they were hidden in that bunker for decades. Anyway, they trap him in a church, get the angel tablet from him, and get ready to start working the cure mojo on him, but Castiel pops in to ask for help. You see, he was still conferring with Metatron about the next phase in the angel trials. That is, to get a Cupid to give him their bow. Before they can do it, though, Naomi's cronies find them and zap Metatron up to Heaven. So, Cas goes to find Dean to ask for his help in getting the Cupid's bow. Dean would rather stay with Sam, but Sam assures him he can do this thing on his own, so Dean reluctantly heads off with Castiel. They also get Kevin to start taking a look at the angel tablet in the bunker. Not sure why they haven't let him stay in the bunker until now, though. Up in Heaven, Naomi has Metatron in her questioning chamber of sorts to figure out his dealio. She's very suspicious of the fact that he's been missing for so long, yet seems to know everything that's been going on so easily. Hmm. Good point, Naomi, good point. Sam, you look like crap. Hot crap, sure, but still crap. 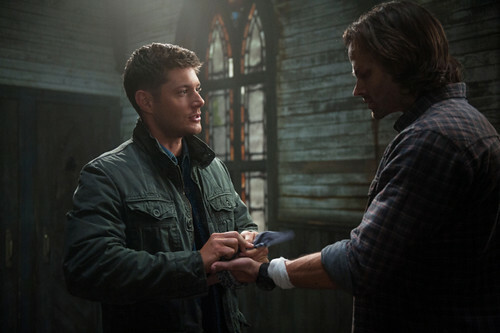 Back at the church, Sam is administering his purified blood to Crowley every hour as per the curing a demon ritual. They get interrupted, however, by a very pissed off Abaddon, who is not so happy that Crowley is the king of Hell. She beats him up for a bit, tosses Sam around some, but in the end, Sam is able to douse her in holy fire and she smokes out of there. Too bad, I liked that actress playing her. After that, Crowley starts talking a little less Crowley-like. Is that blood starting to work after all? Dean and Castiel track down a Cupid and get her to give him her bow, which is really her hand, which is gross, but that's how they roll on this show. Anyway, Kevin calls up Dean to tell him he doesn't see anything about the Nephilim or the cupid's bow on the tablet, and that's when Naomi pops down for a visit. She basically confirms what Kevin was saying - Metatron is up to something that does not involve closing the gates of Heaven, but rather casting all of the angels out of Heaven instead. Sending them to Earth to live mortal lives. Castiel is convinced that she's lying, but when she tells Dean that the final demon trial is meant to kill Sam, he leaves Cas unattended to go help his baby bro. Never a good idea to leave Cas on his own, Dean, have we not learned this by now? Brotherly moment of the night. Because what happens when he goes up to Heaven to see what's going on? 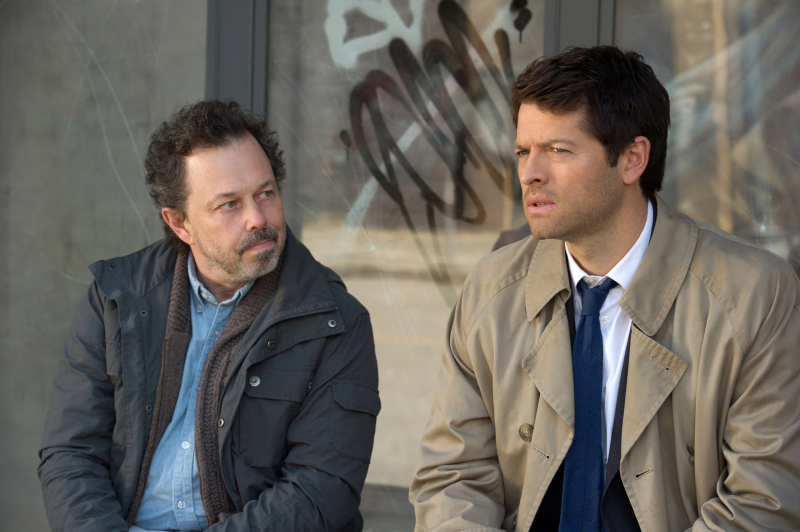 Naomi's got a drill in her brain and Metatron is there to basically gloat and take away Castiel's grace. Naomi was right, he's gotten Cas to be his patsy in performing a spell, and the last thing he needed was an angel's grace. He sends Cas down to Earth, apparently human. Dean finds Sam just as he's about to complete the demon curing ritual on Crowley, who has completely changed his tune from nefarious to genuinely upset about what he's done. Though Sam is prepared to sacrifice himself to close the gates of Hell, Dean manages to talk him out of it in a rather touching brotherly moment. His arms stop glowing from the purifying stuff, but then he collapses in agony. Something is wrong! They run outside to find there's some kind of weird storm a-brewing. Kevin, in the bunker, sees a bunch of red lights appearing on a map. Cas, cast out of Heaven, wanders around, looking to the sky. And there, falling from the broiling clouds are white lights. Angels. Falling from Heaven. And... season eight! Dun dun dun! - Interesting, though not entirely unexpected, way to end the season, with the angels falling. What will that mean going forward? - What happens to Crowley now? Will he stay semi-cured? 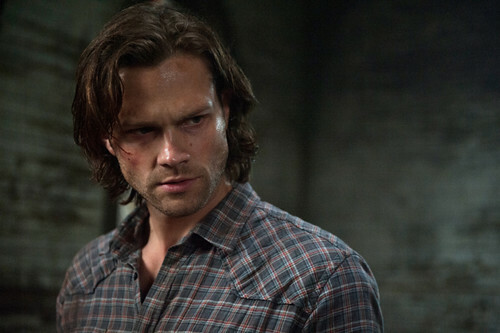 Can Dean finish curing him, thus saving Sam from completing the third trial? Will that leave Abaddon an opening to take over Hell? - I didn't really talk about that opening scene with Sheriff Jody Mills because it's not entirely needed to get the plot, but basically she was the next one Crowley was going after, and I was going to be pissed if she actually was killed because it would've just been another strong female killed off on this show, but thankfully she was not killed. Jody lives on! - Did everyone see the lights falling from the sky? Because that would be some weird news in the real world. Dean: How about what you did to Penny Markle in the sixth grade, how about you lead with that? Castiel: No, it's the word of God. Castiel: There was one... female. Castiel: I don't think she was female. Dean: Talk first. Stab later. Dean: You finish this trial, you're dead, Sam. Yes no more killing Jody has always been the strongest written of all females. She survived a Leviathan attack and zombie apocalypse fer crying out loud! Plus Sera did have her groomed to be the second matrnal figure after Ellen, which I still believe the boys need. Long live Jody! We haven't seen much of her in a while, will be interesting to see if they bring her back more next season.